I watched and enjoyed G.I. Joe as a kid growing up in the 80s, but even then it always seemed like pretty much every G.I. Joe episodes was a rerun. I now know the reason behind this feeling is because it was true, no new episodes were made between 1986 and 1989. I was surprised to learn this as I always thought, even as an adult, that G.I. Joe was extremely popular. Once they did start making new episodes, it just wasn't the same. They felt more silly than badass. I figured part of that was just due to growing up, but now that I've had a chance to watch the second series of this show I can confidently say that it was really and truly ridiculous. Gone are the realistically patterned military vehicles like helicopters and tanks in their military colors, whether it be jungle greens or desert tans. In their place are bizarre looking contraptions with bright neon colors like orange and purple that stick out like a sore thumb. Most of them appear to be small one-man personal vehicles that look like they'd fall apart if you just looked at them wrong. Also gone are most of the original characters, only a handful stuck around for this series and they were given different looks, and I believe different voice actors as well (except for Cobra Commander whose distinctive voice remains). The new looks of the characters are keeping in tradition with the new vehicle looks, where everyone now has bright colors, and nobody seems to have individual personalities anymore. Not that the original series had great character depth or anything, but these characters just seem really flat. Also new to this series is the concept of groups. Instead of G.I. Joes being one unified counter terrorist team, they now have a bunch of smaller groups with individual concerns such as Eco-Warriors, Sky Patrol, and Ninja Force. I don't think the general concept of specialized groups is a bad one, in fact it could have been really cool. Remember Zartan and the Dreadnoks? Those guys were cool! But these guys are just ridiculous, seems like everyone in the show is now a bumbling fool. Sonic Attack? Guys who fight with guitars? And these are supposed to be the best of the best? 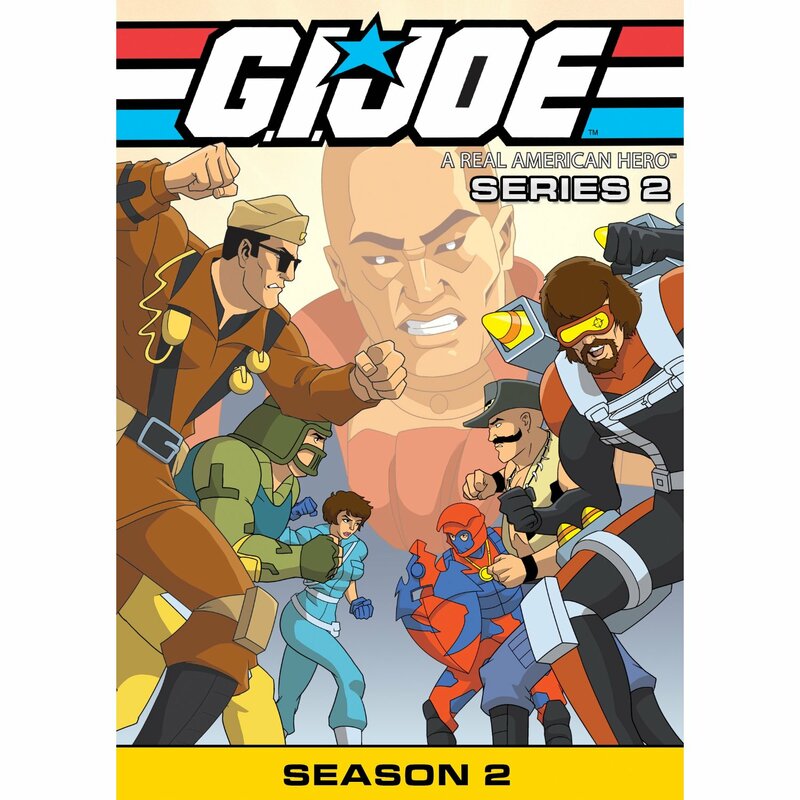 There is an episode where a whole class of Kindergaren kids makes fools of both Cobra and the Joes. What I liked about this release is the bonus feature "The Toy Team Remembers". It's only nine and a half minutes long, but it's very interesting with one of the design managers talking about the series (and outright admitting it's wacky) and talking about the toys and showing a bunch of the classic commercials. That was all cool to see. But really, I don't think this series will appeal to very many people, probably just young kids who don't really care about plots or characters or about making sense, and then those who just watched it as kids and want to have it bring back happy memories of their childhood.